One of the most popular topics I receive questions on is in regards to my hair. 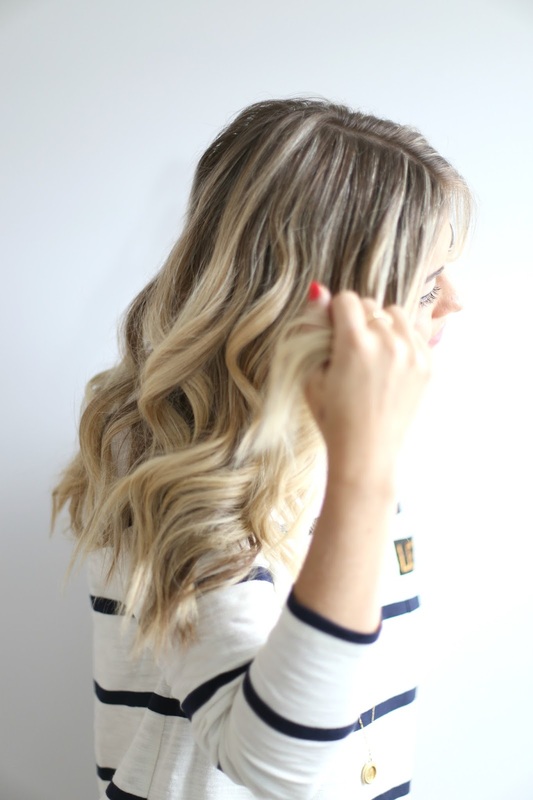 Where is it coloured, what do I ask for in the salon and most recently – for a hair curl tutorial. I am so pumped to be partnering with Schwarzkopf Professional to feature a hair tutorial today on how to achieve tousled waves. 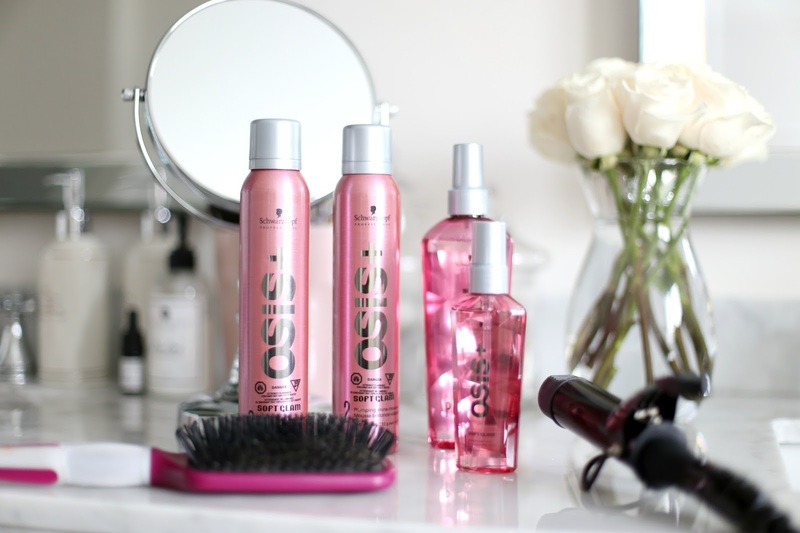 I was recently introduced to the OSIS+ SOFTGLAM lineup of products and I must say, I’m thoroughly impressed with the results. My hair doesn’t take to blonde highlights so well so ensuring that I am regular with masks, use of oils and salon quality products is a must in my hair regimen to ensure I avoid breakage and dried out locks. 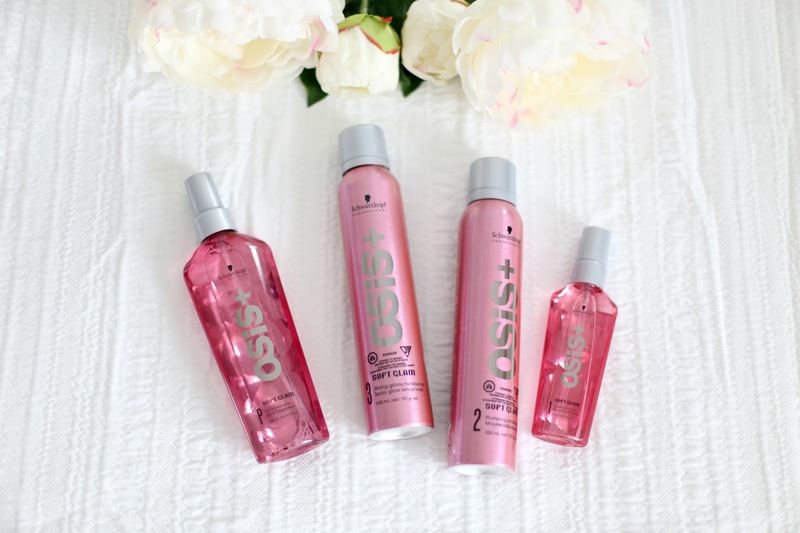 This specific range of Schwarzkopf Professional products was created to assist in achieving the season’s biggest trend: glamorous yet effortless hair that doesn’t appear to be ‘too perfect’. 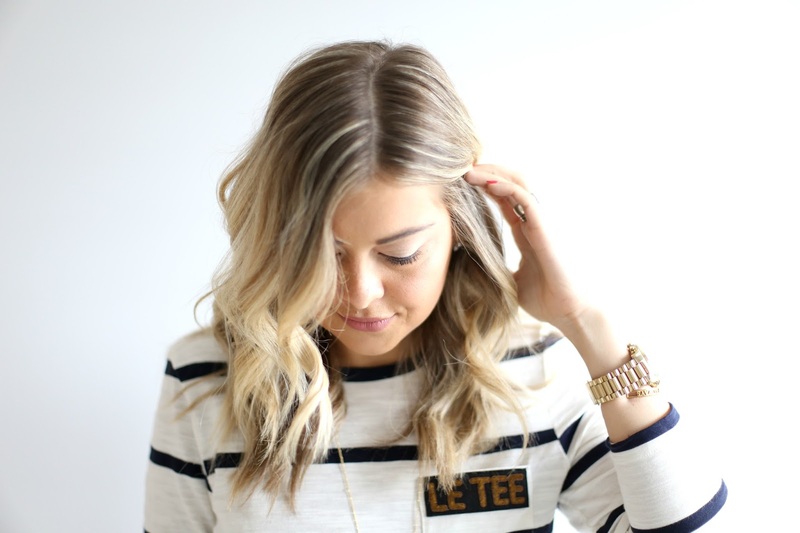 I don’t know about you but I am loving this look for spring and is so much easier to create. The lineup is enriched with feather light minerals that high-octane shine that also provides grip and flexible hold for styles that last. 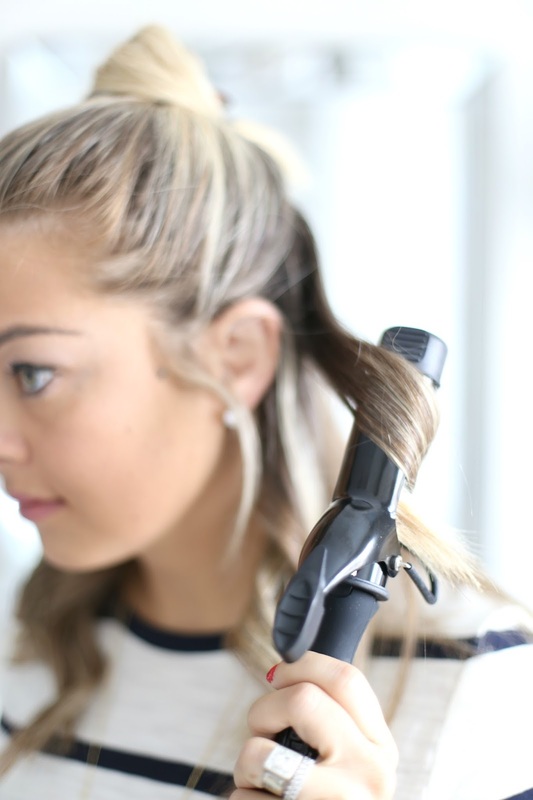 In addition the product lineup, I’m creating today’s look with the Schwarzkopf Professional Mini Curling Iron. 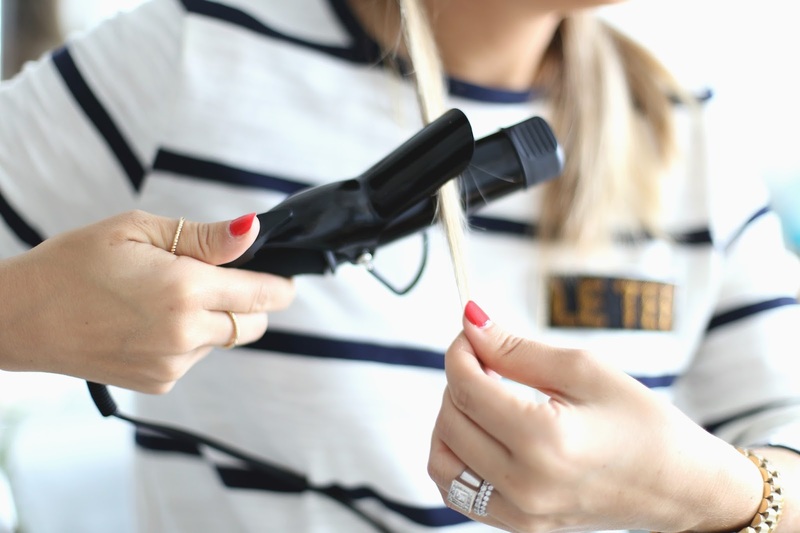 Whether you’re rocking a lob and are looking for something smaller to assist with creating this look at home, or are a girl-on-the-go such as myself, this smaller sized curling iron not only works wonders but packs light. 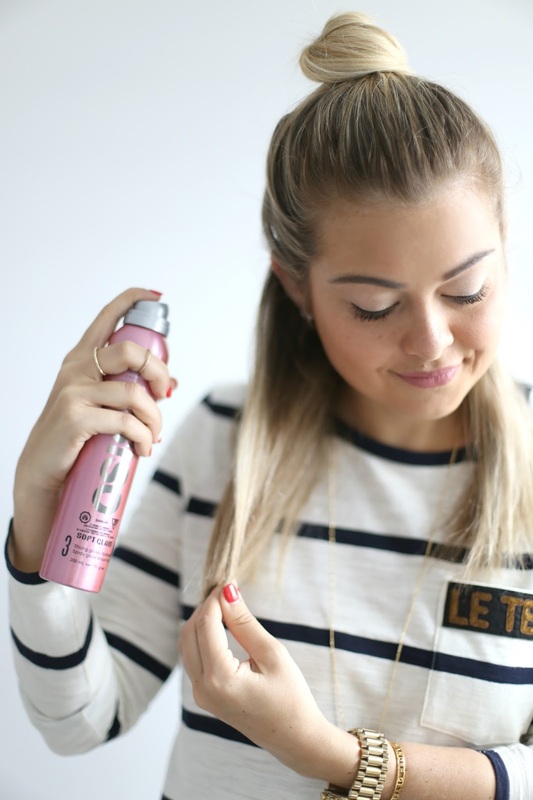 Step 1: Prep damp hair with Prime Prep Spray and work Plumping Shine Mousse through locks for added volume. 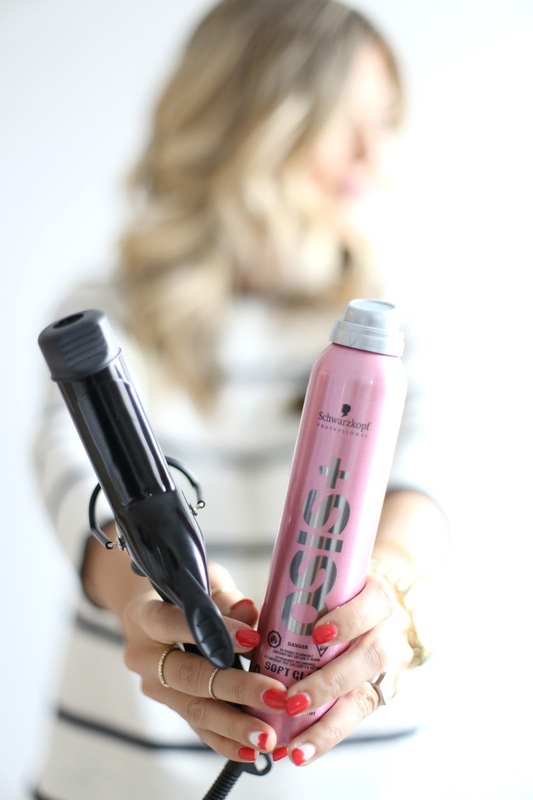 Set the product my blow-drying your hair. Step 2: Since I have thick hair, I section my hair into 3 parts and typically work from the bottom up. 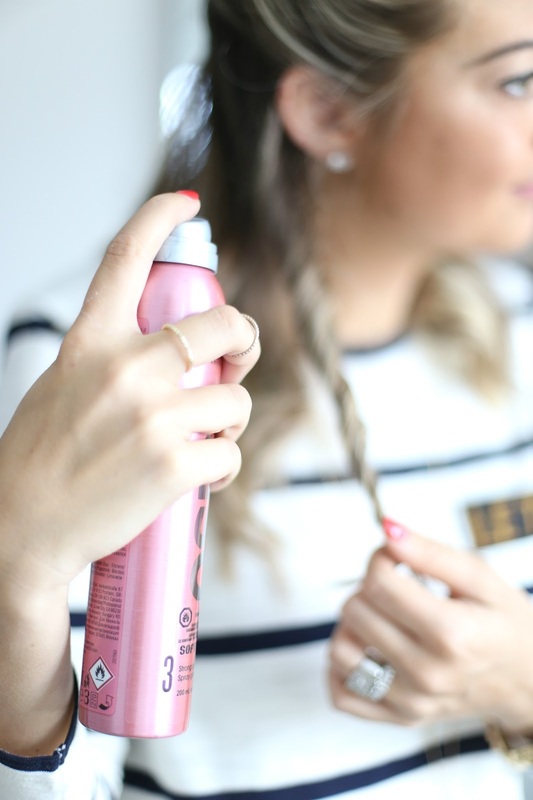 Before curling, I like to prep my locks with a quick spray of the Strong Glossy Hairspray for extra hold. In terms of the type of curl, I’m a fan of curling away from the face. I have a ton of layers and I find it helps to create some consistency in the overall look. I try stick to about 1” sections of hair for this kind of look. 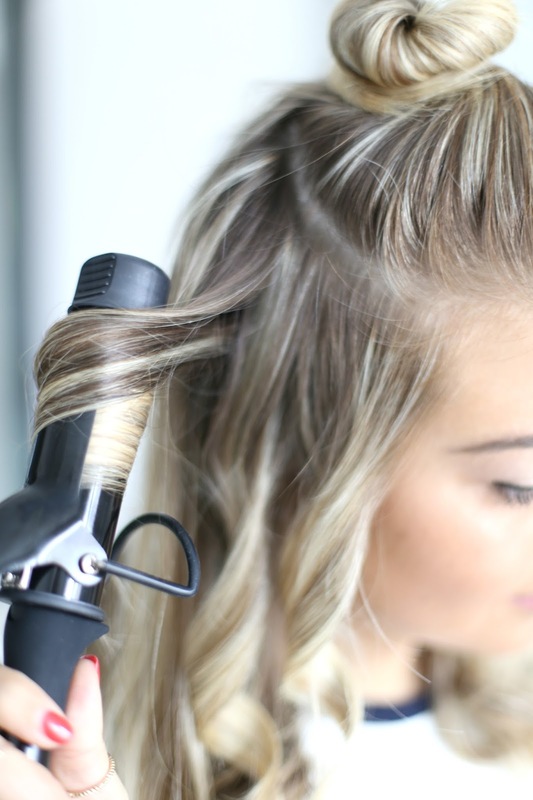 If you want more of a tousled look, hold the curling iron straight and wind downwards – continue this working up to the part. Step 3: Once I complete a section of hair, I like to spray another mist of the StrongGlossy Hairspray over twisted sections for maximum hold. Complete this cycle for the other sections of hair. Step 4: After the curling is completed, I work my fingers through each section of hair to achieve that ‘effortless’ look. 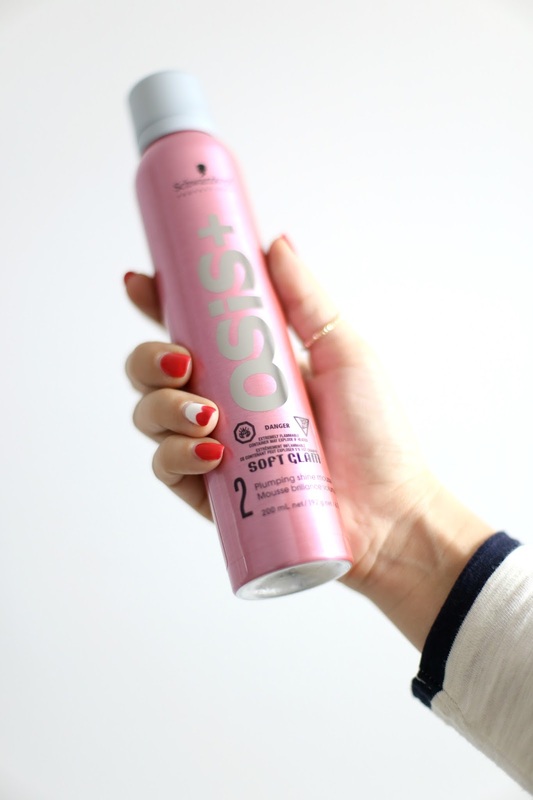 And because you can never have too much – wrap up with one last spray of the Strong Glossy Hairspray. Also, if you're not following already on Instagram, be sure to drop by today for a fun giveaway in collaboration with Schwarzkopf Professional. Thanks to Schwarzkopf Professional for partnering on this post. All thoughts and opinions expressed are my own. You really have mastered the beach waves look. Thanks for sharing your tutorial! I love wavy hair! 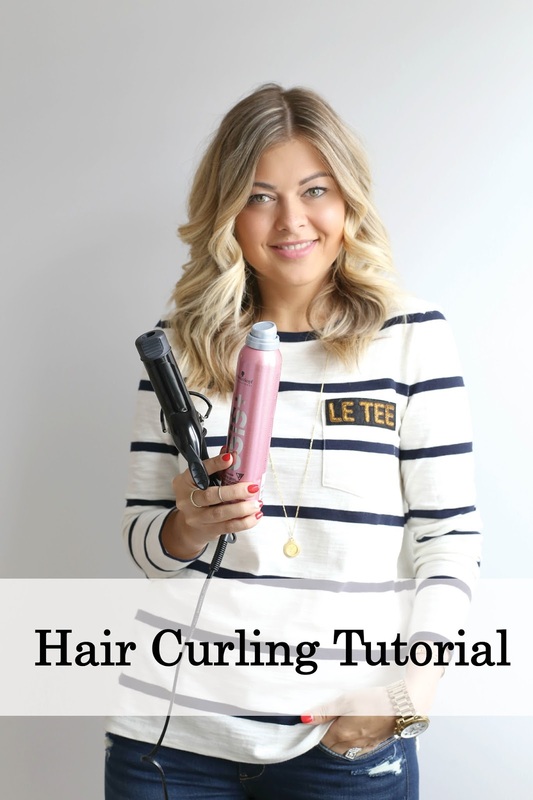 I curl my hair and is so interesting to see another ways and tips to do it. In love with the Banana Republic tee! What size are you wearing? Sometimes the Banana clothes it´s too big. Thanks Krystin! Wigs Toronto are the hottest wigs on the market. Specially designed with only the finest human hair, lace wigs are made to appear as if your hair is growing right out of your scalp. Applied to the hairline for the most natural look, lace wigs allow comfort, and styling flexiblity.